The Sinking of the H.M.H.S. Anglia by a mine laid by a German U-Boat in the Dover Straits. The SS Anglia was built by Wm Denny & Brothers of Dumbarton, Scotland. It was built on behalf of the London & North Western Railway, who operated the cross channel Irish services, and she arrived in Holyhead on the 2nd of May1900. She grossed 1862 tons, and was of steel construction with twin screw propellers. 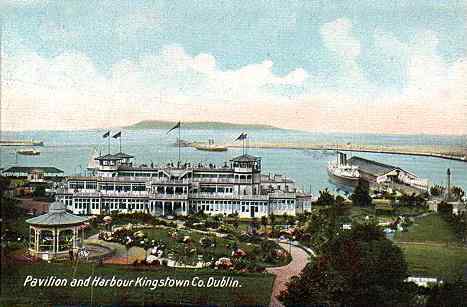 Capable of speeds up to 22 knots, she was an express passenger steamer, initially used on the Holyhead to Dublin North Wall service, then from 1908 on the Holyhead to Kingstown (later named Dun Laoghaire) service. After the outbreak of WWI, the Anglia was commandeered for war service by the Admiralty, and refitted as an auxiliary hospital ship - known as H.M.H.S. Anglia - and under the command of Captain Lionel J. Manning. On November 17th 1915 the Anglia was returning to Dover from Calais, and was loaded with 390 injured officers and soldiers, and their doctors and nurses. In addition there were 56 crew - predominantly Anglesey men - on board. They could not know that the German submarine UC-5 had been laying mines in the English Channel. At around 12:30 pm, one mile east of Folkestone Gate, H.M.H.S. Anglia struck a mine, and quickly began to sink. The Royal Navy ship H.M.S. Hazard raced to her aid. It took the Anglia just 15 minutes to sink, and during that time many acts of bravery were witnessed. The total loss of life is not truly known, but estimates vary between 120 and 164 personnel - including 25 of her crew - who were either killed by the explosion, or by drowning. The tragedy had occurred only 12 days after her sister ship - H.M.S. 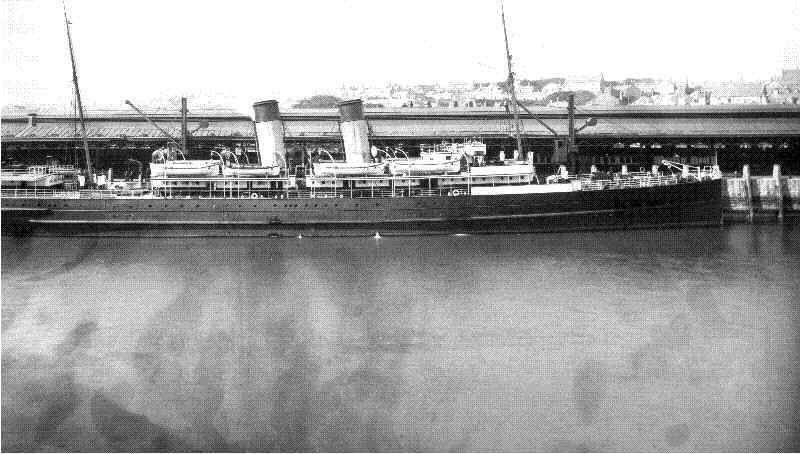 Tara (renamed from the S.S. Hibernia) - had been sank off Tripoli by a torpedo from a German U-boat. The people of Anglesey, and in particular the town of Holyhead, were distraught. footnote 1: The submarine that had laid the fateful mines - UC-5 - herself came to grief after she became stranded on a sandbank. Captured by the Royal Navy, she was later put on display at Temple Pier on the Thames, This was an act of propaganda, and she was later transported to the U.S., where the same was done with her there. 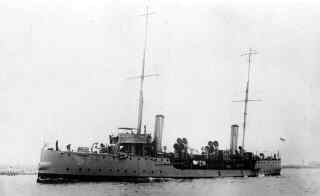 footnote 2: In 1918, as the result of a collision in the Solent, HMS Hazard sank with the loss of four lives.